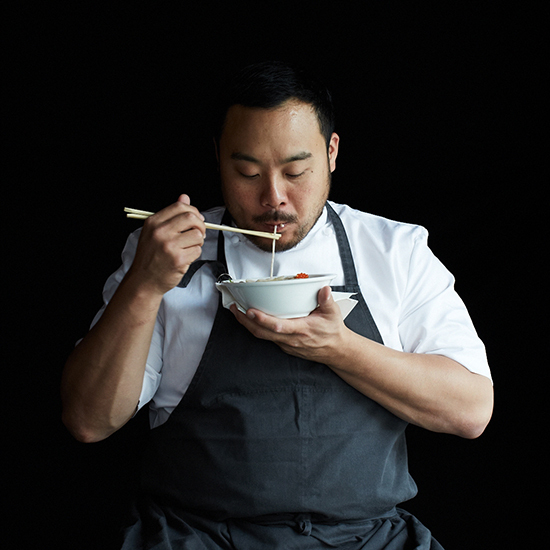 David Chang’s new restaurant revels in Asian-Italian mash-ups like Clams Grand Lisboa. Named for a Macao casino, the dish gives linguine with clams a dashi kick. For the Clams Grand Lisboa at NYC’s Momofuku Nishi, the shellfish changes each season. Toasting rather than boiling fideos-style noodles helps them soak up the sauce. Apple dashi with pureed oregano references a clam dish at chef David Chang’s favorite Sydney restaurant.